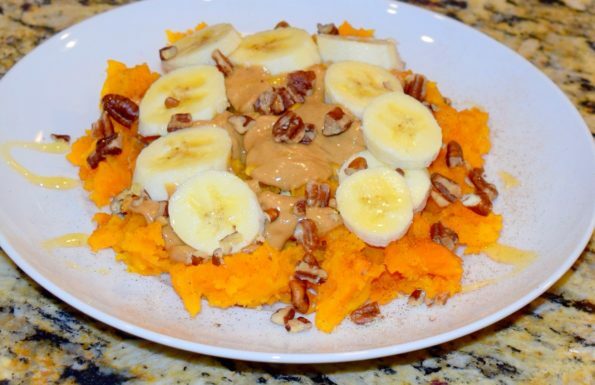 Sweet potatoes have become the potato of choice for many with their New Year’s Resolution. Simply because it’s a lot healthier than a regular potato. A sweet potato is a good breakfast option. I decided to add a few popular items on top that is included on an Elvis sandwich or Elvis inspired pancake. 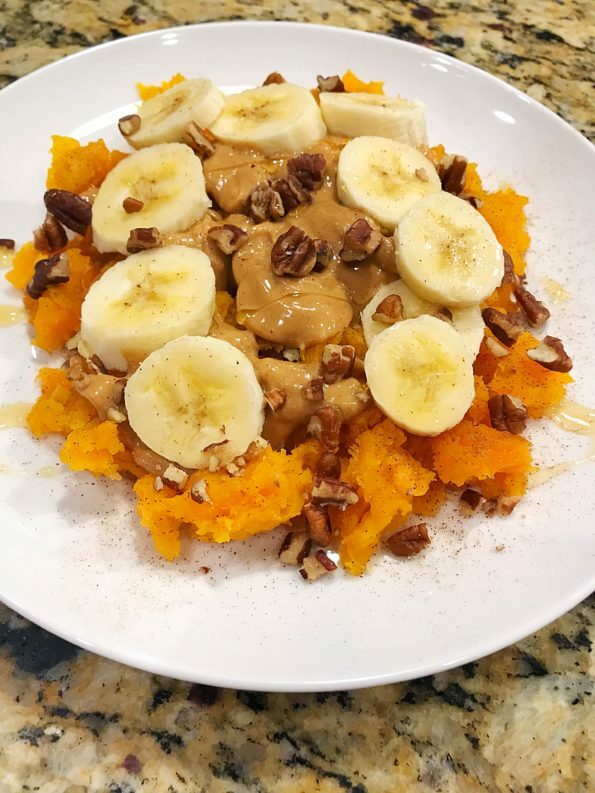 Elvis toppings generally include peanut butter, bananas and honey. 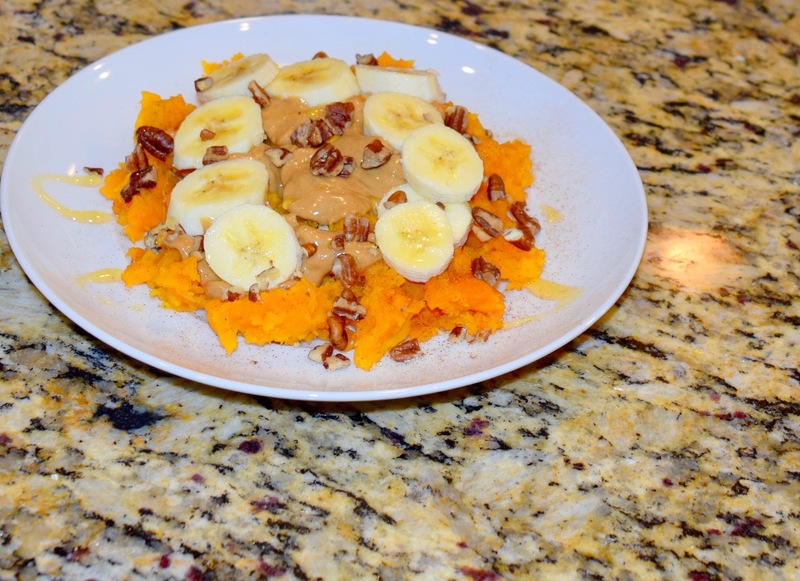 A simple and easy breakfast item that will be both delicious and filling. Bake your sweet potato as you would normally do. I baked my sweet potato at 375 for about an 1 hour and 30 minutes or until soft. Remove the sweet potato from the oven and cool for 5 -10 minutes. Soften peanut butter in the microwave. Just as you would soften chocolate. If you have a setting for softening chocolate use that. Soften to where you can pour the peanut butter on top, but not melted. Split potato in half. Remove the insides and set aside. Add a tablespoon or so of butter. Mix the butter with the sweet potato. Sprinkle Cinnamon and Sugar on top. Use your desired amount. Pour the peanut butter on top. Slice bananas and place on top.